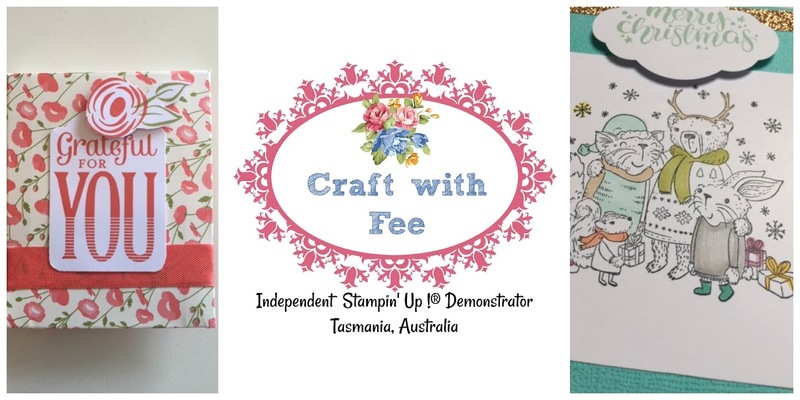 If you follow my creative journey on my Fee's Little Craft Studio Blog or on Facebook you will know that I have fallen in love with paper crafts and have been having lots of fun creating and designing new projects. 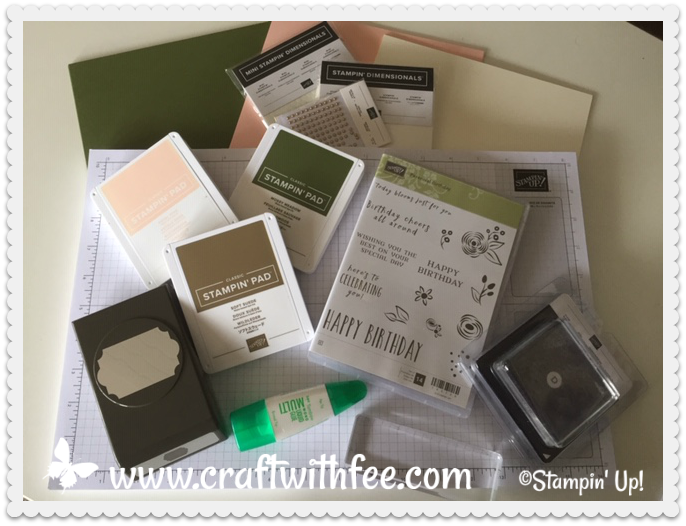 Whilst enjoying my paper journey I discovered products produced by a world wide direct selling company called Stampin' Up !. 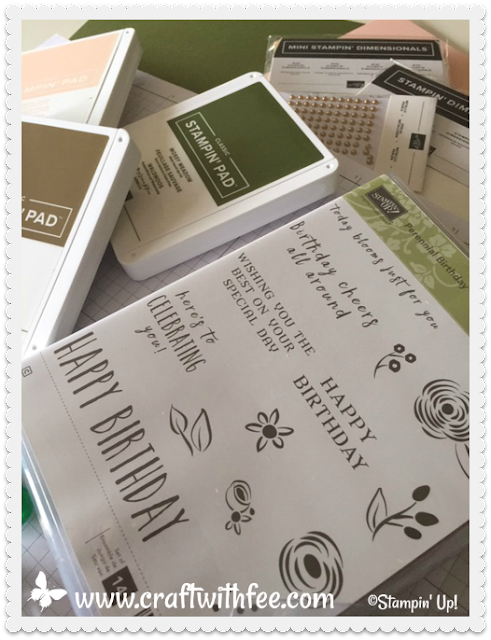 I have purchased many stamp and paper sets as well as punches, embellishments and general supplies. Part of the attraction for me is that the products are so well colour co-ordinated. 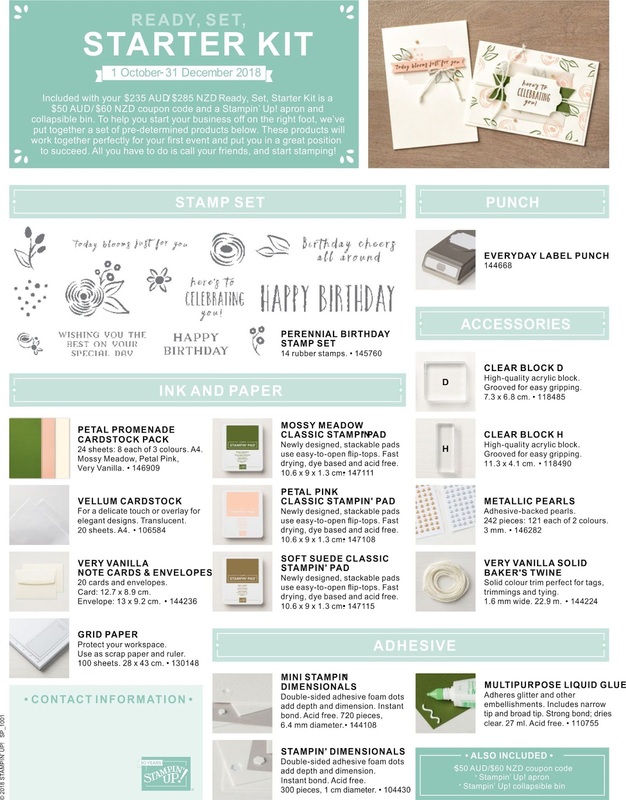 The designer series papers match the card stock, the ink pads, the blender pens, the marker pens, the ribbons, the embellishments and so much more. 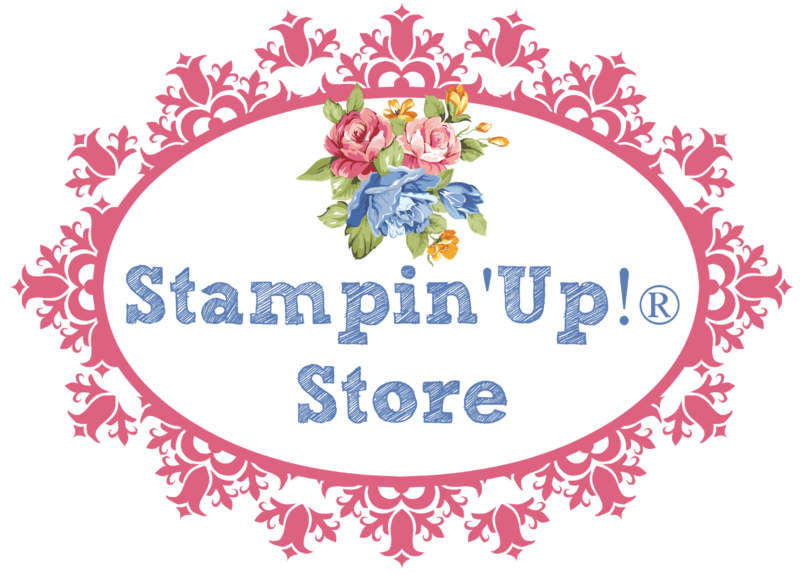 I follow lots of Independent Stampin' Up! demonstrators on Facebook and Youtube and have been completely inspired. 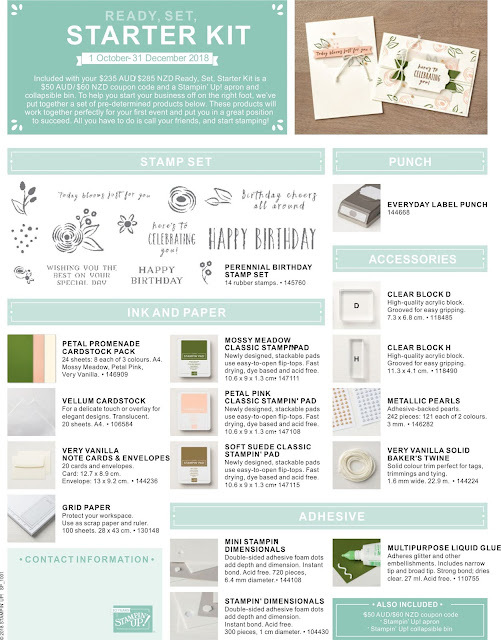 And then I saw this advertisement .......... A starter kit for $235 full of products, a Stampin’ Up! apron and collapsible bin. Included was also a coupon code for $50 worth of products with my next order. 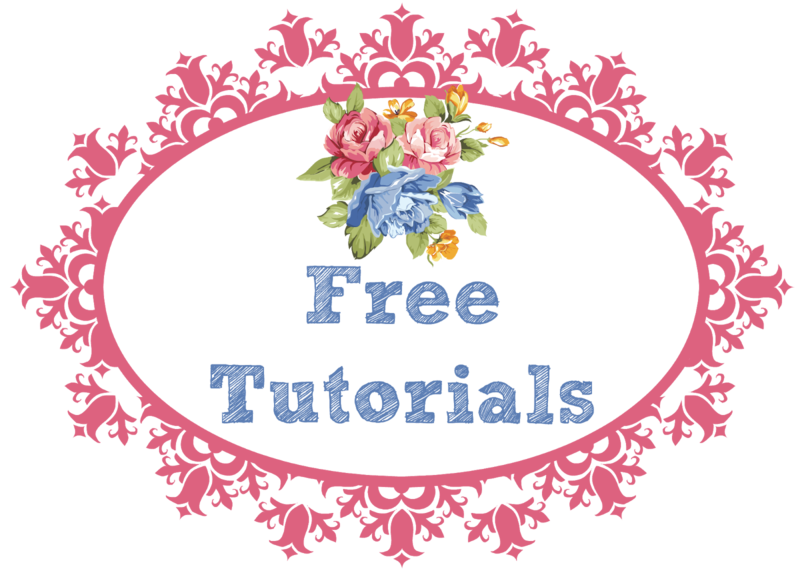 I can sell the products to other people, teach others and at the same time get 20% commission and 20% off the products I was already buying. I just have to meet a very low minimum sales figure every quarter.. Talk about a win/win !! And I have joined a lovely team of like minded ladies who have welcomed me with open arms. What a beautiful bunch of people they are. And I can create my own family of crafters by inviting people just like you to join my team. So today my lovely mail lady brought me a lovely big box full of goodies to play with. 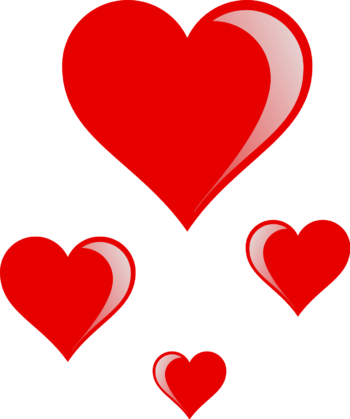 I have everything to design some projects of my very own which I will share with you soon. I have spent a few days planning out some classes to teach here on the blog and also some to do live on Facebook. I'm also launching some Clubs which will be great for building up your stash of goodies. I have lots of great projects planned to share with Club members. I will be having a give away very soon to launch my new little craft adventure so don't forget to subscribe to my newsletter to keep up to date with what's going on here at Craft with Fee (IN the right hand side bar). I'll be back after the weekend with some brand new creations made from my kit. It's going to be fun.